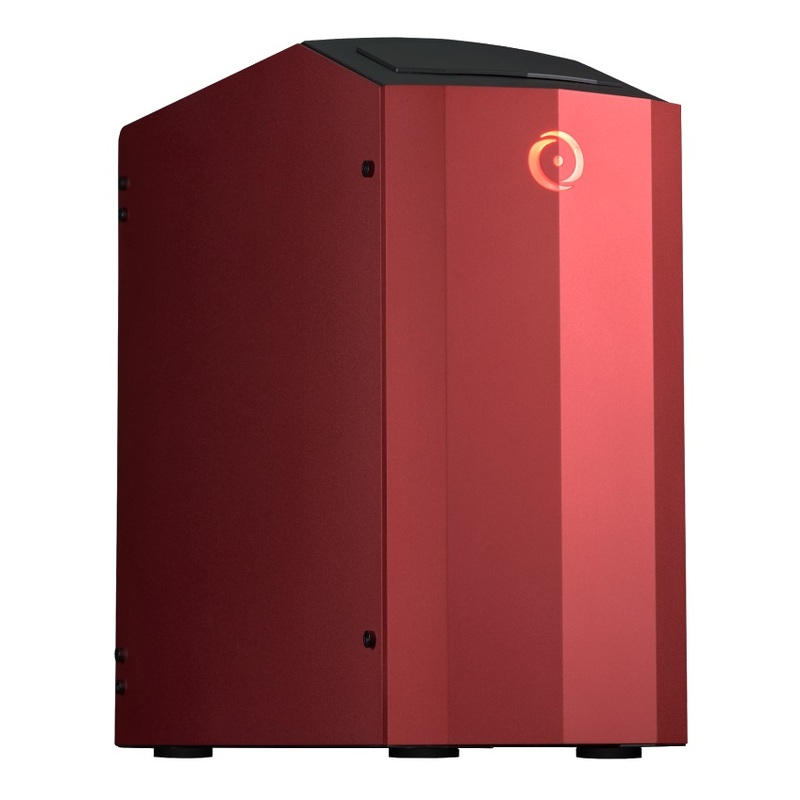 LAS VEGAS, NV — Custom desktop maker ORIGIN PC has announced chassis updates to its existing Genesis (full tower) and Millennium (super tower) gaming desktops, as well as updates to its Professional L-Class systems. The systems will use two band new chassis designs, using an all-new streamlined aluminum exterior with swappable tempered glass side panels. Carrying over from past versions is ORIGIN PC’s Variable Mounting Technology - a feature allowing the motherboard to be mounted in four different orientations. The new cases also offer tool-less upgradeability and an interchangeable front door. This combination of features should allow for a very flexible setup that can work in many environments. The most notable of changes on the chassis is the difference in appearance. The last generation’s Millennium and Genesis cases have more rounded edges and plastic, as well as a side panel which bulges out from the case. It quite frankly looks a bit dated now. 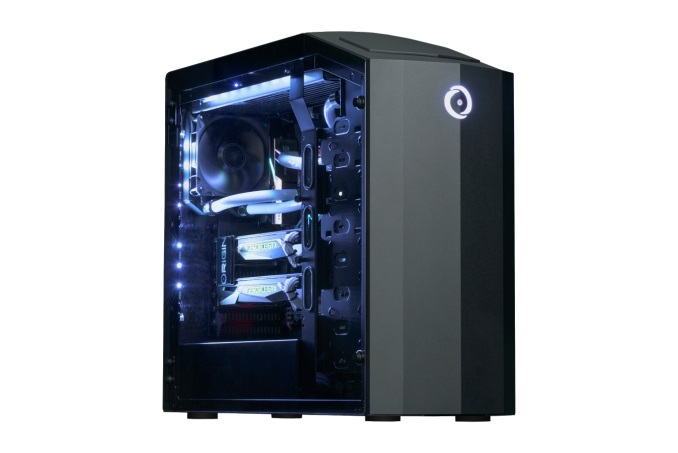 The new case features an aluminum finish with magnetic side panels and thumbscrews allowing the changing of popular components without the need of tools. The rounded edges and the bulging side panel have been replaced with a tinted and swappable glass side panel which shows off the internals inside. The panels are swappable so the case is able to sit in any location while still showing off the internals. For color options on the exterior, it comes standard in red or black. 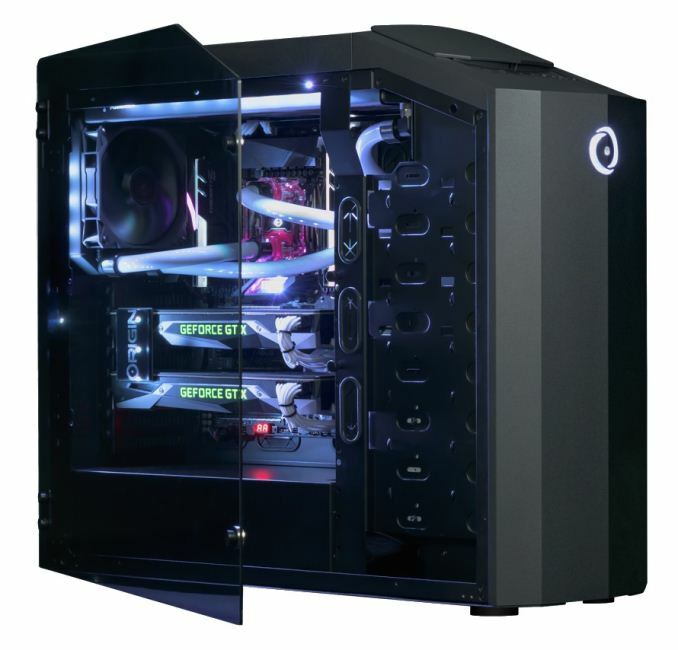 In addition, Origin PC offers custom paint in several colors and laser etching is available on the window panel only. The IO panel is still on the top and is concealed by a black cover. The new cases have power/reset buttons, two USB 3.0 ports, and one USB Type-C (5 Gbps) port. These are easily accessed by sliding the top panel up exposing the buttons and ports. It appears as though they have removed the LED mode button in the old model and replaced it with a remote controlled LED lighting for its internal RGB LEDs. This will give users the ability to switch the case lighting as well as an ORIGIN PC symbol on the front. This is synced with the motherboard lighting software or via remote control. The full tower Millennium case is expandable to the super tower (Genesis) configuration by adding the Super Tower Bottom expansion kit. 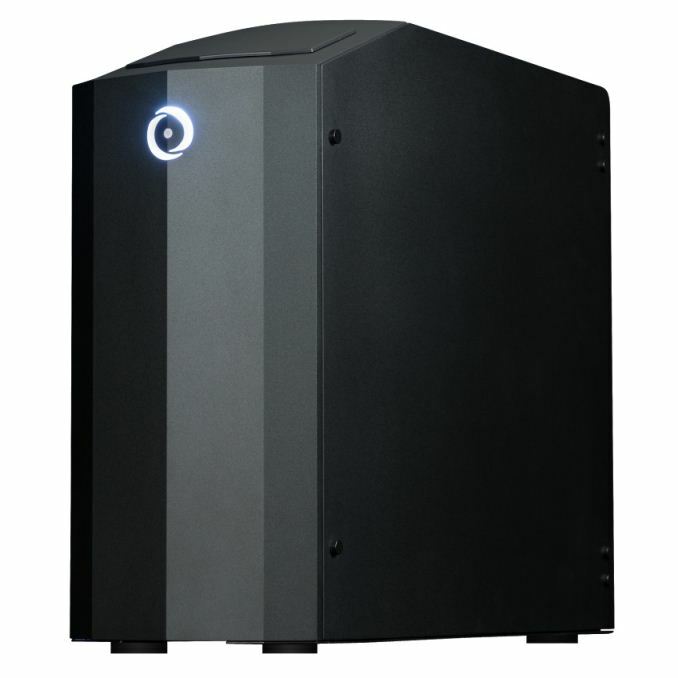 This addition gives users the space to add dual 360mm radiators to increase cooling capacity, or up 12 3.5-inch or 24 2.5-inch storage drives. Internally, there doesn’t appear to be many changes from the pictures and details were not provided internal capacity for radiators/heatsinks, drives, expansions slots, etc. That said, the full-tower Millennium had a total of nine 2.5-inch drives and seven 3.5” internally, and seven external 5.25-inch slots for optical drives and fan controllers, etc. The Genesis, which includes the super tower bottom expansion kit, has a total of 34 2.5-inch bays and 12 3.5-inch along with the same seven external 5.25-inch locations. 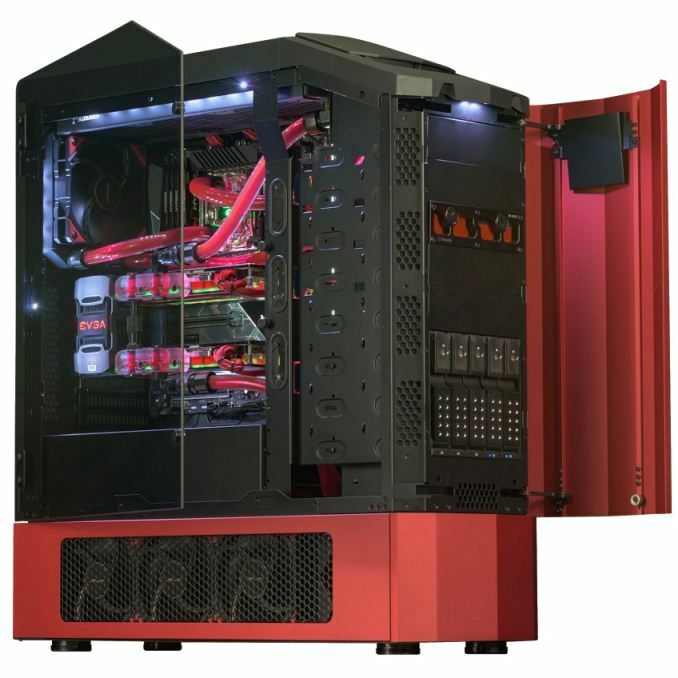 Both cases include five drive bays that are hot-swappable. Users are able to customize the main internal parts from Intel, AMD, and NVIDIA. Origin PC has system configurations based off of Z370 and X299 for Intel as well as B350/X370 and X399 for AMD. The L-Class systems support all of the above plus server specific chipset including C236 Xeon and C612 Dual CPU setups as well as Threadripper units on X399. ORIGIN PC doesn't discriminate when it comes to graphics cards, offering AMD options from the 2GB RX 560 up to the 8GB RX Vega 64 and Intel options from the 4GB GTX Geforce 1050Ti up to the 12GB Titan V (most in a dual GPU configuration as well). Users are also able to select the memory capacity and speed, as well as storage devices from a 1TB-10TB HDD, 1-2TB Hybrid HDD, as well as both SATA and PCIe NVMe based M.2 modules among other options. Between the newly designed cases, its ability to orient the motherboard and change the side and front panel configuration, one has a ton of options to choose from. Pricing will vary dramatically between these systems depending on how they are configured. Origin didn't mention when these will be available however we do expect them to be available soon. The should do a all in one gaming you can't resist.